Home sweet Regina, housing options for all. Regina's "build it and they will come" approach to the city's growth involves oft-evolving housing policies that scramble to keep pace with residents' needs and population levels. In the past five years, the city has grown by 4,500 people annually and is expected to reach the 300,000 mark by 2038. A report presented to the Mayor's Housing Commission in private last month and released publicly this week provides a statistical and strategic analysis of Regina's current housing situation, its future needs and potential pitfalls. Here are the essentials. "I would say, overall, it would be optimism," said Jennifer Barrett, senior city planner, of the report's tone. "We've come a long way, really, since 2006." Reginans are certainly better off than they were five years ago, with more housing options, rising vacancy rates and levelling rental prices. The report describes development as "keeping pace" with population growth. Contributing to housing starts is an uptake in municipal and provincial capital incentives programs for affordable housing and rental units. Also lending a hand is small-scale infill housing throughout the city. It adds to neighbourhoods already served by amenities, in line with the official community plan's commitment to "complete communities." "The idea is to be able to provide housing in combination with a variety of other services, which include transit options, employment, commercial and retail opportunities (and) amenities," said Barrett. Despite the push on paper for complete communities, many new housing developments are not fulfilling that promise - at least not yet. Barrett said the city plans for 30 per cent of its growth in existing neighbourhoods and the remainder to be greenfield developments. That means the majority, at least during the construction phase, might end up in amenity deserts. New builds are also having trouble playing catch-up to residents' specific housing needs. While the majority of Regina households are only one or two people strong, most of the city's homes have three or more bedrooms. "What the statistics reflect is that fact that our older housing stock was really built for different family structure," said Barrett. At the same time, the city needs to accommodate a small percentage of large family homes, fuelled in part by the extended family living situations of newcomers. An increase in available rental units is not entirely positive. Although more rental options will help to bring prices down, many are "secondary rental units": condominiums or houses. These are more volatile, says the report, because not only are they more expensive, but they can be also sold, taking them off the rental market. The city worries that as rental units increase, older or substandard dwellings might be removed from the market. Located in wellserved, established neighbourhoods, the city considers it a priority to retain units of acceptable quality. But tackling these issues in rapid-growth Regina has proven difficult for the city. First, there's the issue of data collection. Changes to the mandatory long-form census have made it difficult for the city to compare recent and old data. "Because the census only happens every five years, in a city that's growing as quickly and changing as Regina is, we have to supplement that with a lot of new data because within five years a lot can happen," explained Barrett. 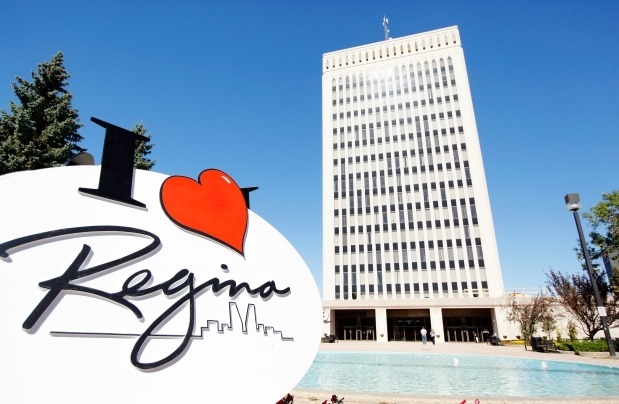 The quick pace of Regina's growth also impacts policy changes, the report says. The process for gathering information, consulting with stakeholders and, finally, revising policy can't always keep up with the housing market's evolution. Looking ahead Not all is lost. Far from it. Key to Regina's housing and growth plans is diversity, or ensuring that everyone along what the report calls the "housing continuum" - from homelessness to mansion dwelling - is served. Continual data collection feeds revisions of Regina's housing strategies. The city is currently working to update statistics on vacancy rates and rental units; residential building permits; housing condition; housing vulnerability and special housing types.